Sealing drafts is one of the best—and smartest—ways to reduce your home's energy costs in winter and summer alike. While the concept is easy to understand, there's plenty to know about the various types of weatherstripping products and how they are best used. Weatherstripping is a time-honored method of minimizing window and door drafts. In the winter, weatherstripping prevents heated air from escaping the home and bars the entry of cold from the outdoors. In the summer, weatherstripping performs the identical role, except at that time of year, the air inside tends to be cool (in a house with air conditioning, at least), and the air outside tends not to be. Most homeowners have heard of weatherstripping and are comfortable with the concept, but some are intimidated by the highfalutin name, because it may conjure up images of a complex system or an elaborate installation process. The reality, however, is not at all scary. 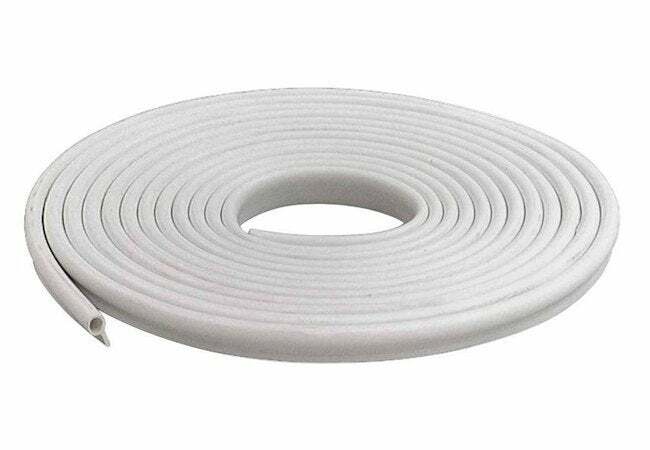 Weatherstripping refers to a group of straightforward, easy-to-install products that do nothing more than seal gaps in house components that swing, slide, or lift. Here is a rundown of the most popular weatherstripping products. 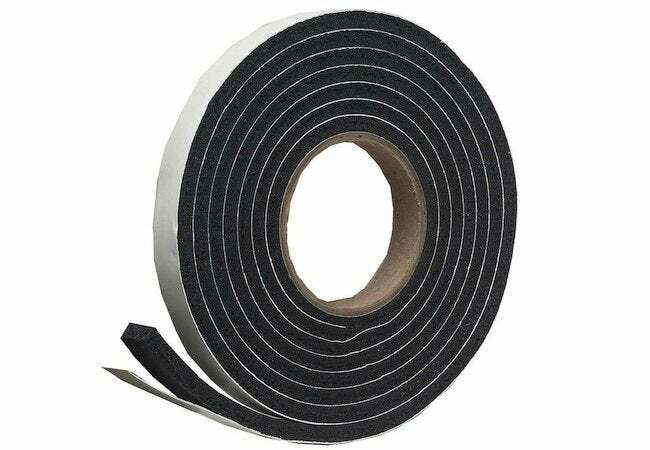 Weatherstripping tapes are popular and inexpensive. Made of compressible, flexible material, these work well to fill irregular gaps. 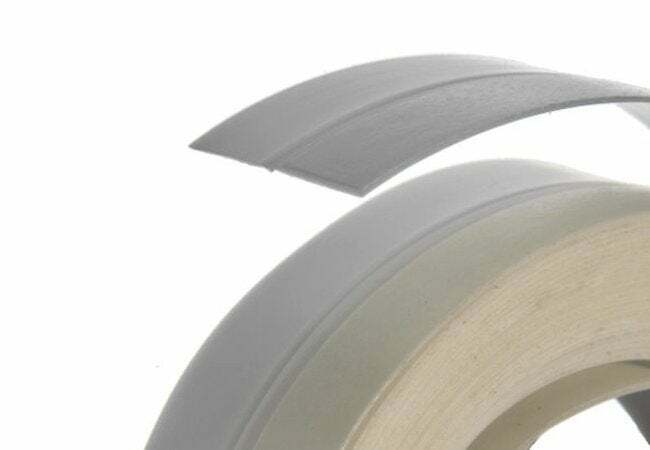 Most foam tapes and felt strips can be cut to size with scissors, and because they’re self-adhesive, they are very easy to install. Be sure, however, that you are applying the product to a clean surface. V-strips are made of vinyl or thin, flexible lengths of metal. The former option costs less and is easier to put in because one side of the vinyl self-adheres; metal V-strips are nailed into place. In either case, installation involves removing the window sashes to access the channels along which they slide. 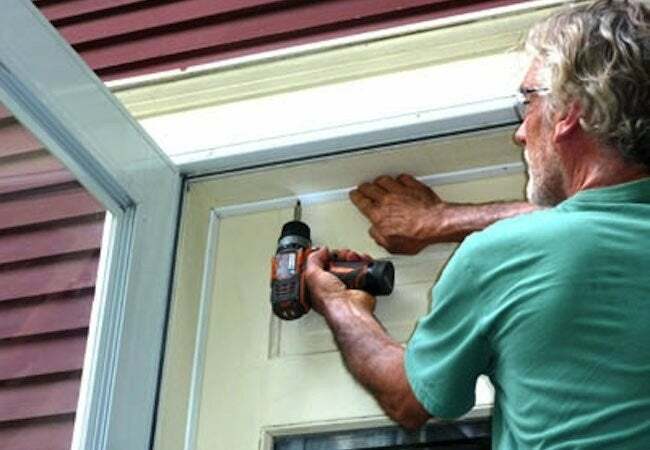 Tubular in shape and rubber-like in composition, gasket-style weatherstripping installs along the bottom of exterior doors by means of nails or screws. (Door sweeps are more common for this application.) A gasket might also be employed to seal between an overhead garage door and the concrete floor slab. 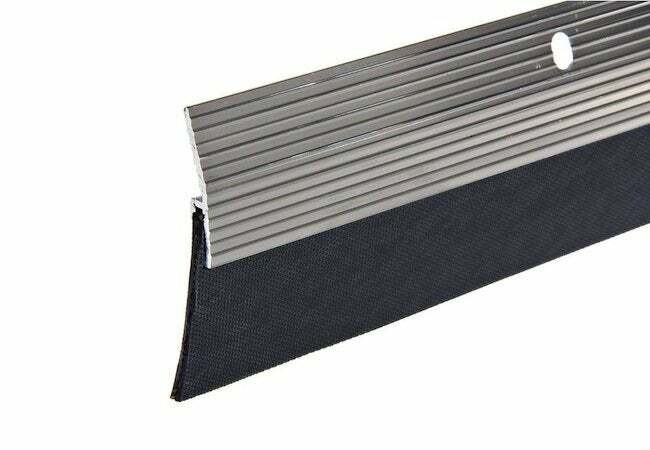 Door sweeps, which are made of vinyl or rubber, or of bristles with a backing, attach via screws to the bottom of an exterior door. They are commonly available at hardware stores and home improvement centers; some door sweeps go on the outside, while others are meant for the inside. Consult the manufacturer’s instructions. First, seal any gaps around doors or hatchways that connect to the attic—this is where air pressure and air leakage are greatest. Next, check exterior doors; if you see daylight around a closed door, install weatherstripping. By the same token, if your windows rattle in the wind, that’s a pretty sure sign that they too would benefit from weatherstripping. On a cold day, it’s easy to judge these things: If the area feels chilly to the touch, weatherstripping is (at least part of) the answer.